A top marijuana regulator in Massachusetts said adult-use sales are expected to begin within two weeks – four months after the targeted July 1 launch of the state’s recreational cannabis market. 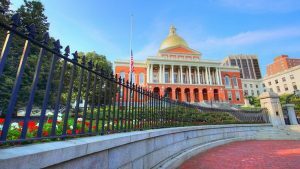 According to the Boston Business Journal, Massachusetts Cannabis Control Commission Chairman Steve Hoffman said the state is in the process of giving the final OK to a testing laboratory and is working closely with two licensed retailers to prepare for final inspections. The two stores furthest along in the process are Cultivate in the town of Leicester and New England Treatment Access in Northampton. Both were awarded final licenses but must pass final inspections. Also Thursday, the Cannabis Control Commission awarded a final retail store license to Pharmacannis Massachusetts of Wareham. Massachusetts voters legalized recreational marijuana in November 2016, but it has taken two years to launch the rec MJ program. Marijuana Business Factbook 2018 projected that adult-use sales in Massachusetts could reach $150 million-$250 million this year based on a July 1 start, but the figures will be likely be lower because of the delayed launch.